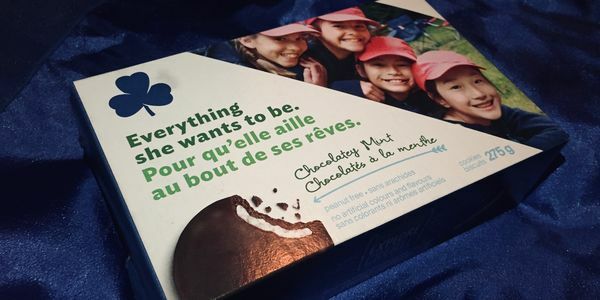 petition: End the Use of Palm Oil in Girl Guide Cookies!!! End the Use of Palm Oil in Girl Guide Cookies!!! I am a member of Girl Guides of Canada and have been for 11 years. A friend and I recently discovered that the cookies we use for fundraising contain palm oil, the vegtible oil that's production kills thousands of orangutans, results in deforestation, polution, and uses human and child labor. We want the organization that we love so much to be good for our planet that's already in so much trouble. If Girl Guides of Canada were to start using coconut oil instead of palm oil it could really help the planet. But in order to convince them, we need as much help as we can get. By signing this petition you could help save hundreds of orangutans, people, and the earth itself. You may not think that getting one organization to be better to the enviroment could help fix the enviromental devastation that's happening right now, but every little bit helps and by signing this you could be be doing your little bit that matters.